Former Minister Majadla is taking over as Labor MK for Ben-Eliezer, who resigned from the Knesset last week citing health problems. Former Minister Raleb Majadla is returning to the Knesset to serve as a member of the Labor party in place of Binyamin (Fuad) Ben Eliezer. Ben-Eliezer, a long-term Labor Party member who served as an MK and Minister in numerous governments, submitted a letter of resignation to Knesset Speaker Yuli Edelstein Thursday citing health problems. "After a long decision making process and a difficult struggle with my thoughts on the matter, I have decided to resign from my Knesset post. As you know, I have been suffering from health problems in recent years,” he wrote, adding that he was a candidate for a kidney transplant. “Dealing with my health issues requires most of my attention now, and unfortunately I cannot work as I have been used to doing,” Ben-Eliezer wrote in his letter to Edelstein. 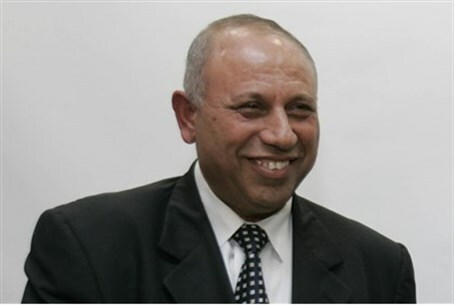 Majadla, an Israeli Arab who was a member of 16th, 17th, and 18th Knesset, became Israel's first Muslim minister when he was appointed Minister without Portfolio in 2007. Prior to his Knesset tenure, he worked as a businessman, served as secretary of the Regional Workers Council, and headed the Education and Sport department of the Histadrut trade union. In his political career, he also served as Deputy Speaker of the Knesset and Chairman of the Interior and Environment Committee. During the 17th Knesset, between 2007 and 2009, he served as the Minister of Science, Culture, and Sport. His appointment as Minister sparked a major controversy in the Knesset with Yisrael Beytenu Chairman Avigdor Liberman calling it "damaging to Zionism." A number of Labor MKs responded by demanding that Yisrael Beytenu be expelled from the Knesset for "racism." Majadla is married with four children and lives in Baqa al-Gharbiyye, a predominantly Arab city in the Haifa district, where he was born. He is currently ranked 17th on the list of the Labor party, who won 15 mandates in the 2013 elections. While Gilboa Regional Council head Danny Atar is technically next (16th) on the party list, he has said that he will give up his position for the time being as long as "this is not the Labor arrangement" for the elections slated for March 2015.